Start off your visit on the 25th (Tue): ponder the design of Trevi Fountain and then admire the landmark architecture of Pantheon. Here are some ideas for day two: contemplate the long history of St. Peter's Basilica, admire the landmark architecture of Vatican Museums, and then explore the ancient world of Colosseum. For more things to do, photos, traveler tips, and more tourist information, read Rome trip builder . Cairo, Egypt to Rome is an approximately 7-hour flight. You can also drive. Due to the time zone difference, you'll gain 1 hour traveling from Cairo to Rome. Traveling from Cairo in December, expect Rome to be slightly colder, temps between 16°C and 4°C. Wrap up your sightseeing on the 27th (Thu) early enough to take a train to Florence. Start off your visit on the 28th (Fri): appreciate the extensive heritage of Piazza del Duomo, take in the spiritual surroundings of Cathedral of Santa Maria del Fiore, admire the masterpieces at Uffizi Galleries, then take in the views from Ponte Vecchio, and finally examine the collection at Galleria dell'Accademia. Get ready for a full day of sightseeing on the 29th (Sat): admire the landmark architecture of Loggia dei Lanzi, admire the masterpieces at Pitti Palace, don't miss a visit to Piazzale Michelangelo, then enjoy breathtaking views from Campanile di Giotto, and finally admire the landmark architecture of The Baptistery of St. John. To find where to stay, reviews, and more tourist information, read our Florence road trip app . Getting from Rome to Florence by train takes about 1.5 hours. Other options: drive; or fly. In December, plan for daily highs up to 15°C, and evening lows to 4°C. Finish your sightseeing early on the 29th (Sat) so you can take a train to Venice. 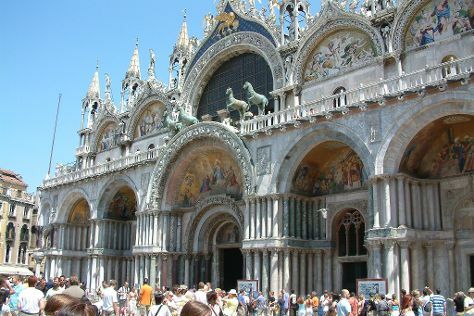 Start off your visit on the 30th (Sun): contemplate the waterfront views at Canal Grande, admire the striking features of Basilica di San Marco, then admire the landmark architecture of Doge's Palace, then steep yourself in history at St Mark's Campanile, and finally admire the striking features of Scala Contarini del Bovolo. Get ready for a full day of sightseeing on the next day: take in the views from Ponte di Rialto, take in the views from Ponte dei Sospiri, then explore the world behind art at Peggy Guggenheim Collection, and finally appreciate the extensive heritage of St. Mark's Square. Use Inspirock's suggestions to plan your Venice trip and find the best activities and attractions for your vacation. Traveling by train from Florence to Venice takes 2.5 hours. Alternatively, you can drive; or take a bus. Expect slightly colder temperatures when traveling from Florence in December; daily highs in Venice reach 11°C and lows reach 1°C. Finish your sightseeing early on the 31st (Mon) so you can travel to Amsterdam. Start off your visit on the 1st (Tue): explore the world behind art at Rijksmuseum, admire the masterpieces at Van Gogh Museum, and then tour the pleasant surroundings at Vondelpark. 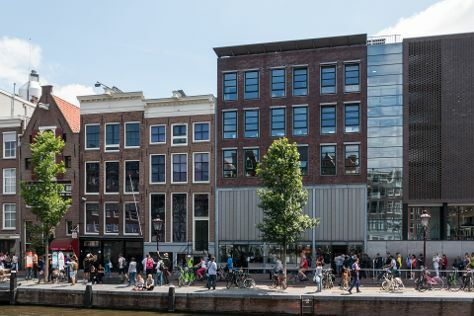 Get ready for a full day of sightseeing on the 2nd (Wed): wander the streets of Red Light District, then admire the masterpieces at Museum Het Rembrandthuis (Rembrandt House), then indulge your thirst for a good beer at Heineken Experience, and finally take an in-depth tour of Anne Frank House. For where to stay, photos, and more tourist information, refer to the Amsterdam trip planner. Fly from Venice to Amsterdam in 5 hours. Alternatively, you can do a combination of flight and train; or drive. In December, plan for daily highs up to 9°C, and evening lows to 3°C. Wrap up your sightseeing on the 2nd (Wed) to allow time to travel to Budapest. Spend the 5th (Sat) immersed in therapeutic waters at a local thermal spa. There's lots more to do: get a sense of history and politics at Parliament, appreciate the history behind Hősök tere, contemplate the long history of Shoes on the Danube Bank, and contemplate in the serene atmosphere at Matthias Church. To find more things to do, traveler tips, where to stay, and other tourist information, use the Budapest trip planner . Traveling by flight from Amsterdam to Budapest takes 5 hours. Alternatively, you can do a combination of train and flight; or drive. Traveling from Amsterdam in January, expect Budapest to be slightly colder, temps between 3°C and -4°C. Finish your sightseeing early on the 5th (Sat) so you can travel back home.